MONOGRAM HEALTH INC., the Nashville healthcare startup focused on furthering the well-being, quality of life and health outcomes of patients with chronic kidney and end-stage renal disease, filed today on a $4,999,998 raise. The equity raise was apparently led by Nashville-based Frist-Cressey Ventures, of associates thereof. The cofounder of FC Ventures, former U.S. 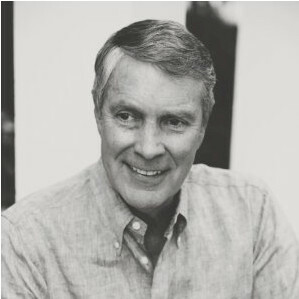 Majority Leader Bill Frist M.D., is chairman of the startup company, which registered in Delaware about two weeks ago. The filing showed the full amount raised from two investors, who were not explicitly named. Monogram's CEO is Mike Uchrin, whose LinkedIn profile says he is also an entrepreneur-in-residence at Frist-Cressey. Descriptions of the company online say that Monogram transformatively employs "next generation artificial intelligence algorithms to predict necessary and timely care to promote the delay of kidney disease progression, seamless transitions to dialysis and/or pre-emptive kidney transplant, as well as to optimize our patients' health outcomes once on dialysis." Notably, given the transplant reference, Chairman Frist is widely recognized as having served as a leading heart and lung transplant surgeon and is thus well acquainted with related complex medical issues and with patient needs and experiences in that context. Also notable, given the AI references, today's filing also includes Casper de Clercq, identified as a director. He often invests in HCIT, digital health and related plays. 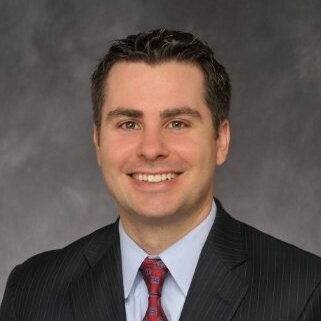 Frist Cressey Partner Christopher Booker is also associated with the filing. de Clercq's LinkedIn says he is a managing partner of Palo Alto-based Norwest Venture Partners, investing in HCIT, digital health, medical devices, biopharmaceuticals, medical diagnostics, among other things. Uchrin earlier served in CEO and other roles with Health Choice, the former managed care subsidiary of Iasis Healthcare. Franklin-based Iasis sold in 2017 to Steward Health Care, which is today a leading U.S. Medicare Accountable Care Organization. In 2010, Cerberus Capital Management acquired the nonprofit Catholic system, Caritas Christi in the Boston area, then converted it to for-profit and renamed it Steward. The new company explains on its website that its Monogram brand was chosen because "it reflects the personalized focus of our service offerings, customizing each beneficiary's plan of care to meet their individual goals and objectives in relation to their health status and social determinants of health. Partnering with Health Plans and other Sponsors of Health Care, Monogram Health, through its Care Management and Coordination services portfolio is the collaboration catalyst with which individuals, their support systems, and providers achieve unparalleled health outcomes....."
According to Crunchbase, Frist-Cressey investments have thus far included two transactions they led -- for Frisco, Texas-based Valify (purchased services solution) and for Nashville-based Relode (HC recruiting community). Records online also refer to FC Ventures investments and/or partnerships in DevotedHealth (Medicare Advantage plans), OneOncology (cancer care), Spero Health (outpatient substance abuse), Regroup Therapy (telepsychiatry), 180 Health Partners (substance, behavioral care), Seven Springs Ortho & Sports Medicine and Aspire Health. Aspire Health (palliative care) is the only reported exit to date for FC Ventures. Aspire was acquired in mid-2018 by Indianapolis insurer Anthem Inc.
Today's SEC filing is here. A member of the Frist-Cressey staff took VNC's query in behalf of the principals, late this afternoon.